Women who experienced menopausal symptoms were less likely to adhere to preventive treatment with tamoxifen for breast cancer than those who did not experience menopausal symptoms, according to a U.K. study presented at the 2016 San Antonio Breast Cancer Symposium (Abstract S5-03). Preventive therapy for breast cancer is recommended for women who have an increased risk of developing the disease. Currently, approximately 10 million women in the U.S. have an increased risk of breast cancer and, therefore, could benefit from preventive therapy, such as tamoxifen. However, for a variety of reasons, only a small number of women start preventive therapy and even fewer continue on therapy long enough to receive the intended benefit. 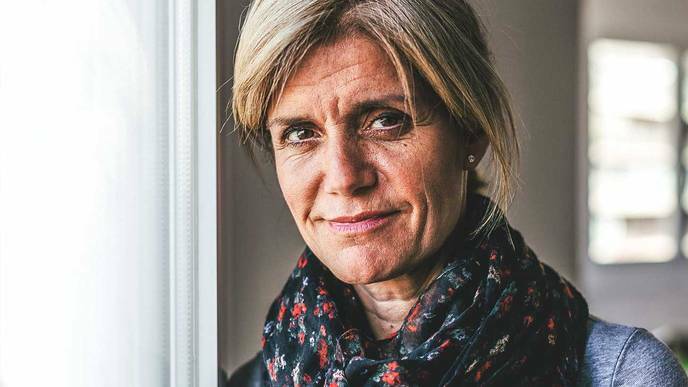 Discontinuing the drug early is often attributed to the side effects, so the study researchers aimed to determine the effect of menopausal symptoms, which are common side effects of tamoxifen, on long-term adherence. 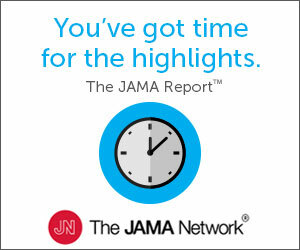 The menopausal symptoms in this study were defined as nausea and vomiting, headaches, hot flashes, and gynecological symptoms, which included irregular bleeding, vaginal dryness, and vaginal discharge. The women in this study were those who had enrolled in the International Breast Cancer Intervention Study I (IBIS-1). These women did not have a history breast of cancer but were at a heightened risk for developing the disease. IBIS-1 was a placebo-controlled, randomized trial designed to determine whether 5 years of preventive therapy with tamoxifen could prevent breast cancer. The trial reported that 5 years of tamoxifen therapy reduced the risk of breast cancer by at least 30 percent and the effect appears to last for 20 years. A total of 3,987 women in the U.K. were analyzed, of which 2,000 were assigned to placebo and 1,987 to tamoxifen, a commonly used preventive therapy for breast cancer. Also, the overall mean time on the study was 4.1 years. For the placebo arm, the mean time of the study was 4.3 months and 3.9 months for the tamoxifen arm; this difference was statistically significant. The overall rate of symptoms across both groups was 5 percent for nausea and vomiting, 7 percent for headaches, 31.5 percent for hot flashes, and 20.9 percent for gynecological symptoms. Also, dropout rates were the fastest in the first 12 months for both groups but more so for the tamoxifen-treated group. Nausea and vomiting and headaches were both associated with adherence, and women who experienced these symptoms were less likely to adhere to treatment for both arms. Hot flashes were not associated with adherence and did not affect adherence for either treatment arm. Gynecological symptoms were not associated with adherence, but women in the tamoxifen arm who had gynecological symptoms were less likely to adhere than those in the placebo arm. The nocebo effect, slightly different from the placebo effect, is a phenomenon in which a person's belief that a treatment will have negative effect leads to the person having a more negative effect than he or she otherwise would. Unlike the placebo effect, the nocebo effect can occur in the treatment and placebo group. “Is that common in cancer and in breast cancer? Absolutely,” Ann H. Partridge, MD, MPH, medical oncologist and Director of the Adult Survivorship Program at Dana-Farber Cancer Institute, told Oncology Times about the nocebo effect. In fact, this phenomenon was also seen in the IBIS-2 study, which looked at preventive therapy with anastrozole, an aromatase inhibitor that can have side effects such as aches and pains in bones. “The IBIS-2 trial showed that although women taking anastrozole do have an increased risk of experiencing symptoms like aches and pains in bones, women in the placebo group also reported quite a high prevalence of those particular symptoms,” noted Smith. Regarding how to approach a patient who may be mistakenly attributing a symptom to a drug, Partridge offered clinicians some advice. “The answer isn't to say it's definitely not the drug to an individual woman,” Partridge said. The reason why, she explained, is the patient can become upset and “shut you out” as a physician because she thinks you're not listening to her. She recommended pursuing a different approach to treatment, such as taking a temporary break from the drug, and not necessarily focusing on how to attribute the symptoms because ultimately you want to help the patient benefit. To manage negative expectations patients may have, Partridge noted clinicians can educate patients about the realistic harms and benefits of a therapy before the therapy begins. During the press conference, the moderator, C. Kent Osborne, MD, Professor and Director of the Dan L. Duncan Comprehensive Cancer Center at Baylor College of Medicine, commented, “There are things that we can do to ameliorate the symptoms for sure. In patients on tamoxifen and who have vaginal problems, that's easy to fix with vaginal estrogen.” He also said that hot flashes can be dealt with by using acupuncture, the antidepressant venlafaxine, or some other antidepressant that effectively relieves hot flashes. This limitation of generalizability of results is common among clinical trials and even more so among cancer prevention trials because people who are not sick generally may not see the need or benefit of taking a medication long-term. Thus, the type of people who enroll in cancer prevention trials typically do not represent the average patient.